October 14 - 18 I will be celebrating my one year blogiversary and I have a lot of fun things planned. 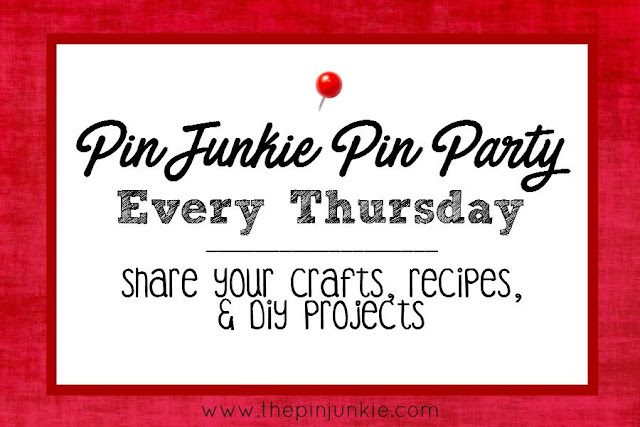 I would love to have you be part of the celebration by being a co-host for the Pin Junkie link party on Friday, October 17th. 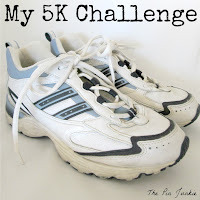 So far we have 12 bloggers participating! Hope you'll join in the fun next week! 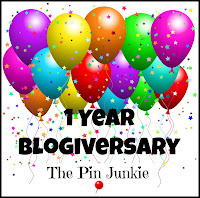 If you're interested in co-hosting, please email me at thepinjunkie@gmail to let me know - please put "Blogiversary link party" in the subject line. Jennifer at We Do Fun Here shared Monster Apple Bites. I love that these are healthy snacks. Kids would love them, too! Priyam at Simple Joys decorated her stairs for Halloween. Makes for wish I had stairs. 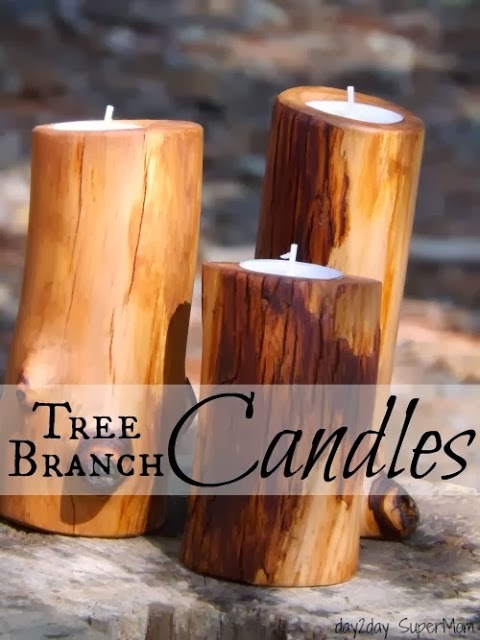 Marcy at Day 2 Day Supermom shared how she made tree branch candles. She also used them as planters for small succulents. 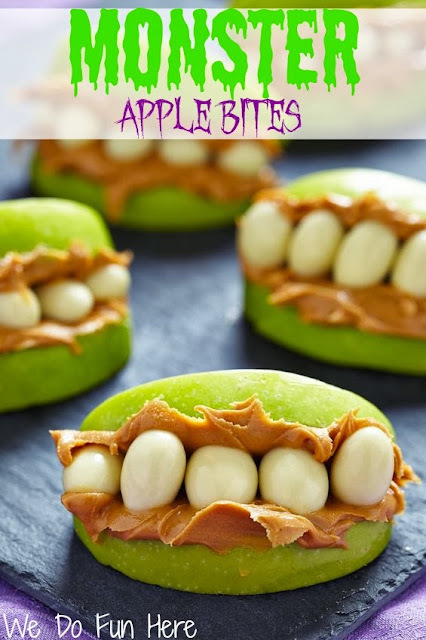 I am SO excited that my Monster Apple Bites are being featured this week! Thanks so much for sharing & hosting a great party! 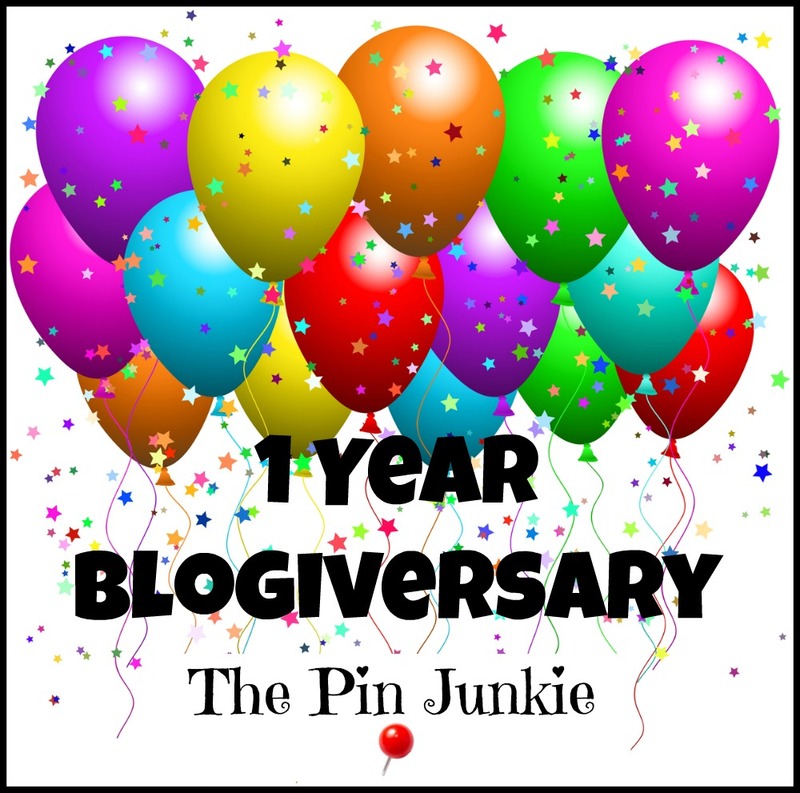 I am excited to celebrate your One Year Blogiversary next week! 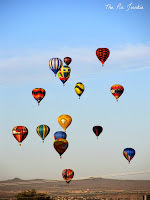 :) I hope you have a FUN weekend! 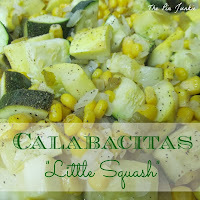 They look like they would be fun to make and to eat! Great snack! 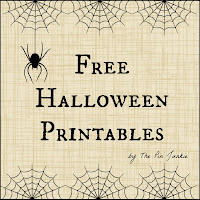 Perfect for Halloween, but not full of sugar and calories! Thanks for sharing at last week's party! You're welcome Kim! Glad you're here! Thanks for joining the party! thank you so much for this great party !! Thanks for hosting! Can't wait to see what next week holds. Thank you so much for featuring my Halloween Stairs!!! You're welcome Priyam! 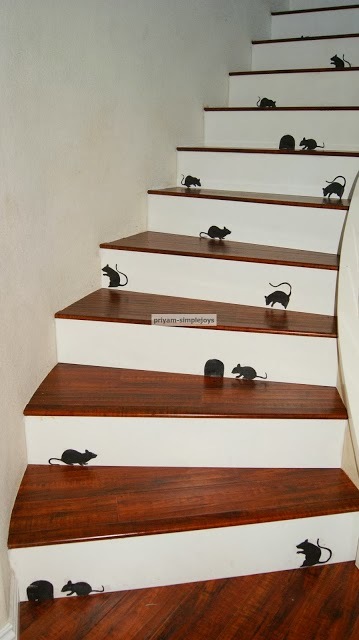 Even though I don't have stairs, maybe I can find a place to put some of my own mice cut outs. Thanks for sharing this great project at last week's party! You're welcome Marcy! Your candles are beautiful and versatile! Thanks for sharing this great DIY project at last weeks party. So glad you're going to be a co-host! I've sent you the info for the blogiversary party! 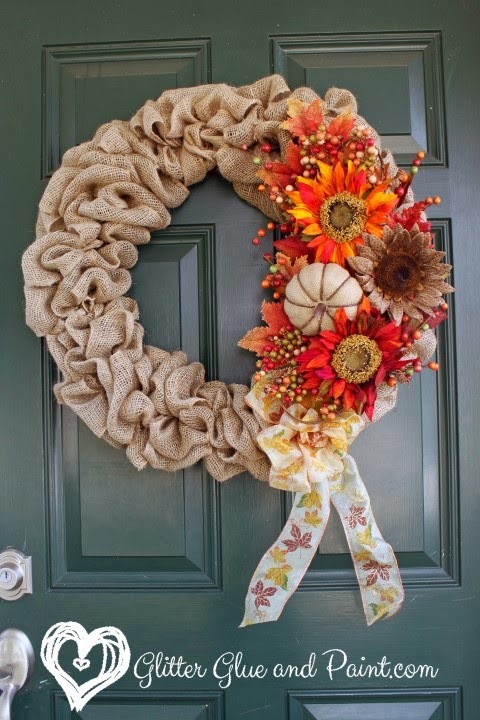 Thank you so much for featuring my Fall burlap wreath. I love this weeks features, so many great ideas. Thanks for the party every week, have a super weekend! You're welcome Denyse! I tried making a wreath recently and it didn't turn out nearly as nice as yours. Thanks for sharing it at last week's party!